Unfortunately, some people have other, overlapping health problems alongside irritable bowel syndrome (IBS). Globus is a condition in which people experience a sensation of something stuck in their throat, while IBS is a condition in which people experience chronic abdominal pain and bathroom problems. Both are considered functional gastrointestinal disorders, (FGIDs), in that no reason for the symptoms show up in standard diagnostic tests, so it may make you wonder if there is a connection between the two. In this overview, you will learn about the symptoms, diagnosis and treatment of globus, as well as see if there is any possible overlap between globus and IBS. You will also find some ideas as to what you can do if you find yourself dealing with both problems at the same time. Globus is a persistent or intermittent sensation that there is something stuck in the back of your throat, when in actuality there is nothing there. The symptom of globus is a surprisingly common. In research studies, the sensation has been reported by nearly half of healthy study participants. However, the actual disorder is relatively rare. The good news about globus is that the condition is seen as benign, meaning that although it may be annoying, it is not a threat to your health. The bad news is that globus tends to be a difficult-to-treat, chronic condition. Although the symptom may dissipate, it is also likely to come back. The condition was originally named "glubus hystericus" but it has subsequently been shown to be unrelated to a "hysterical" psychiatric condition. It is now known by the more accurate and less judgmental name, "globus phayrngeus," which acknowledges the involvement of the muscles of the pharynx in the condition. Globus does not typically present as a painful sensation, but rather the sense that there is a lump or some sort of pressure or foreign object in your throat. It may also feel like a sensation of tension or constriction in your throat. The lump may feel like it is moving up and down, or less commonly, side to side. The sensations associated with globus should be lessened when you eat or drink something, but may be worsened when you swallow nothing but your own saliva. Globus should not cause you any difficulty in swallowing (dysphagia). Some people with globus may find that their voice gets hoarse, raspy or husky, or tires easily. The effect on the voice may be more likely to be a result of acid reflux rather than the globus itself. If you experience any of the symptoms of globus, it is essential that you tell your doctor. Although the risk of globus being indicative of a serious health problem is small, any unusual symptoms need to be investigated for a proper diagnosis. Gastroesophageal reflux disease (GERD): The acid reflux associated with GERD is thought to play a role for a fairly large amount of people who experience the symptom of globus. It is theorized that any acid flushing up from your stomach into your esophagus and throat interferes with the functioning of the throat muscles, preventing them from relaxing as they should, and thus causing the sensation that there is something unusual present in the area. Motility problems of the pharynx: The pharynx is an organ in the back of your throat that plays a role in both digestion and breathing. As part of digestion, it moves food into your esophagus, while as part of breathing, it warms and moistens air before it enters your windpipe. For some people, a problem with how this organ operates may contribute to the symptom of globus. Health problems affecting the pharynx: Health problems, such as pharyngitis, tonsillitis, and postnasal drip from sinusitus, may cause the pharynx to become irritated or inflamed, leading to a sensitivity of the nerves in the area and a resulting globus sensation. 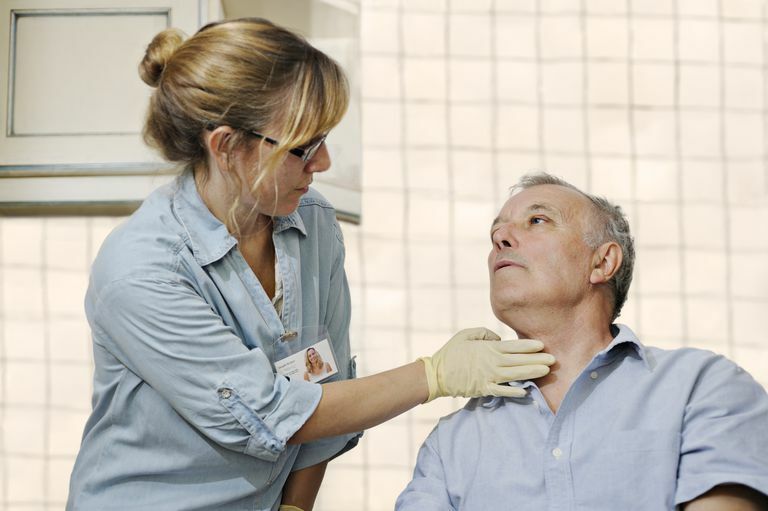 Upper esophageal sphincter dysfunction: Your upper esophageal sphincter (UES) is a valve found in the back of your throat at the bottom of your pharynx and is responsible for two major things. It opens up to allow food and drinks to enter into your esophagus and it closes to prevent food from entering into your windpipe. It is thought that for some people who have globus the muscles of the sphincter are tighter than normal, and this excessive tension then creates the sensations associated with globus. Esophageal motility problems: It is thought that some cases of globus may be related to problems as to how the esophagus functions. Estimates regarding the prevalence of esophageal motility problems in people who have globus vary quite widely. Rare medical problems contributing to globus symptoms: There are also some fairly rare problems that can cause a person to experience the symptoms of globus. These include an anatomical problem, such as that with with the epiglottis (a little flap that covers the opening of your windpipe when you swallow), and benign or cancerous tumors. 1. Stress: Although globus was originally thought to be almost exclusively psychological in nature, research on the subject since has been quite mixed. Some studies have shown an association between globus and a psychiatric diagnosis, such as depression or an anxiety disorder, while other studies have shown no such association . What is clear is that the symptoms of globus are typically worsened when a person who has globus is anxious or under stress. This worsening of symptoms is probably due to a subconscious tightening of the muscles in the area of the throat. 2. Fatigue: Symptoms may be worse when you are tired or if you have been using your voice more than usual. 3. Repeated swallowing: Because the "lump" sensation is uncomfortable, there is a natural human tendency to swallow as a way to relieve the symptom. However, each successive swallowing tends to reduce the amount of saliva and the resulting "dry" swallows may actually increase your discomfort. 4. Smoking: Although not all smokers experience globus, smoking can make symptoms worse for those who have the condition. Surgery is a very rarely used modality; but may be recommended if thryroid disease or an anatomical epiglottis problem (retroverted epiglottis) is present. 1. Drink lots of water. Water can help to keep the throat area too dry, while also replacing liquids lost by diarrhea episodes (IBS with diarrhea) or keeping the stool moist (for IBS with constipation). 2. Avoid alcohol, coffee, and carbonated drinks which can be irritants to your entire digestive system. 3. Offset the stress in your life—either through CBT, the use of relaxation exercises or through other mind/body activities such as yoga, tai chi or meditation. Lee, BE, Kim, GH "Globus pharyngeus: A review of its etiology, diagnosis and treatment" World Journal of Gastroenterology 2012;18(20):2462–2471. Watson WC, Sullivan SN, Corke M, Rush D. "Globus and headache: common symptoms of the irritable bowel syndrome." Canadian Medical Association Journal 1978;118(4):387-388.